The high school girls basketball season gets underway next week with the annual Columbia Tip-Off Classic at Columbia High School and Cat Classic at Dupo High School. The Columbia tournament begins Monday and ends with the championship game at 2:30 p.m. Saturday. See the complete bracket by clicking here. Columbia opens play 6 p.m. Monday against New Athens. 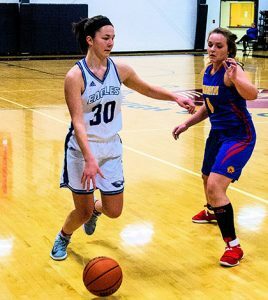 Among the returning players for the Eagles this season is senior guard Sophia Bonaldi, who led the team in scoring last season at 14.5 points per game and in steals at 2.6 per game. Waterloo opens play at the tourney 7:30 p.m. Tuesday against Lebanon in the debut of new head coach Tim Augustine. Key returning players for the Bulldogs are Haley Aldridge and Riley Diekman. Gibault, Valmeyer and Dupo will all open their seasons at the Cat Classic in Dupo. The Hawks will play 7:45 p.m. Monday against Madison. Key returning players for Gibault are Maddie Davis (11 points per game, 2.6 steals per game last season) and Ashlyn Wightman (12 points, 10 rebounds and six blocks per game). 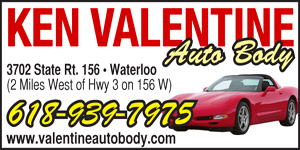 Valmeyer opens its season 6 p.m. Tuesday against Father McGivney. 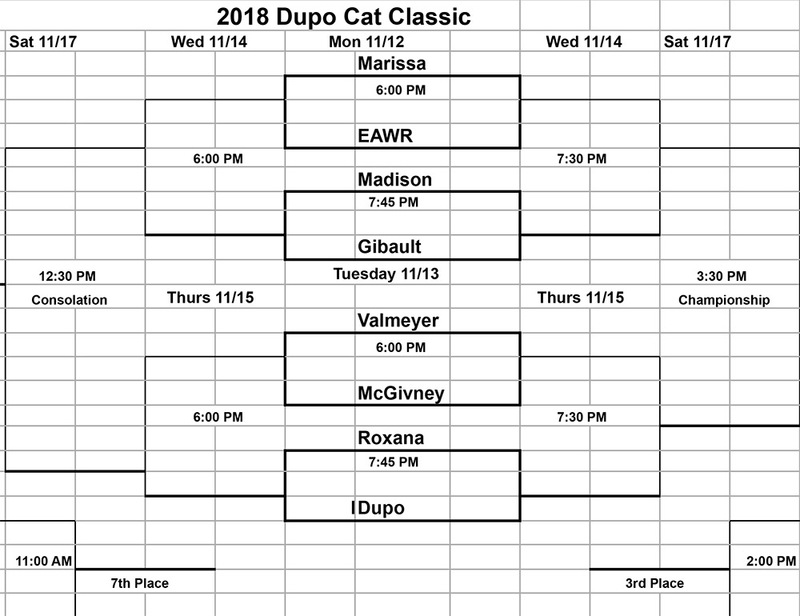 Dupo opens its season 7:45 p.m. Tuesday against Roxana in the Cat Classic. To view the full tournament bracket, click here.